VIRGINIA: Democrat Ralph Northam Beats GOP Trump Acolyte Ed Gillespie In Tight Gubernatorial Race - Joe.My.God. 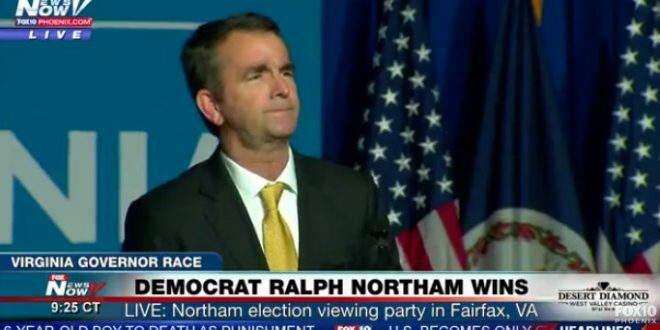 Democrat Ralph Northam handily defeated Republican Ed Gillespie in the Virginia governor race on Tuesday in a contest that was being closely watched for signs of the national electorate’s mood. Northam was briefly interrupted by protesting immigration advocates who were removed from the stage by security. They appeared to be objecting to Northam’s recent statement that he would sign a law banning sanctuary cities in Virginia.